Do you want to call a World-Class Facility home for your group, team, or program? 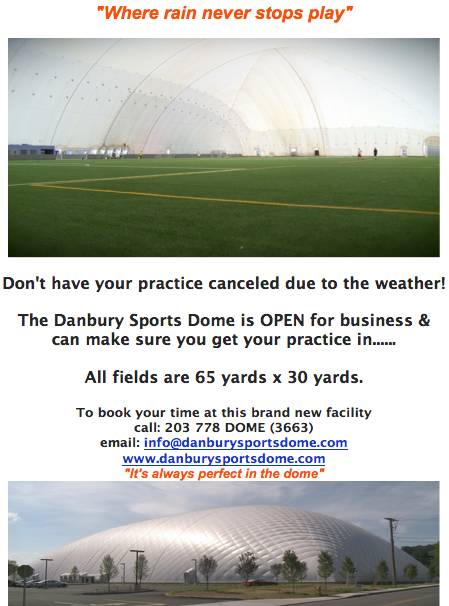 Then have your team or program practice and/or play at the Danbury Sports Dome. Year-round field time is available to be booked at our state-of-the-art indoor facility enabling all field sports to maximize practice and game time and never be postponed due to weather. The field layout enables teams to play or practice on small side fields or the opportunity to play on a full-size field. The four small field dimensions are 65 yards long by 30 yards wide. 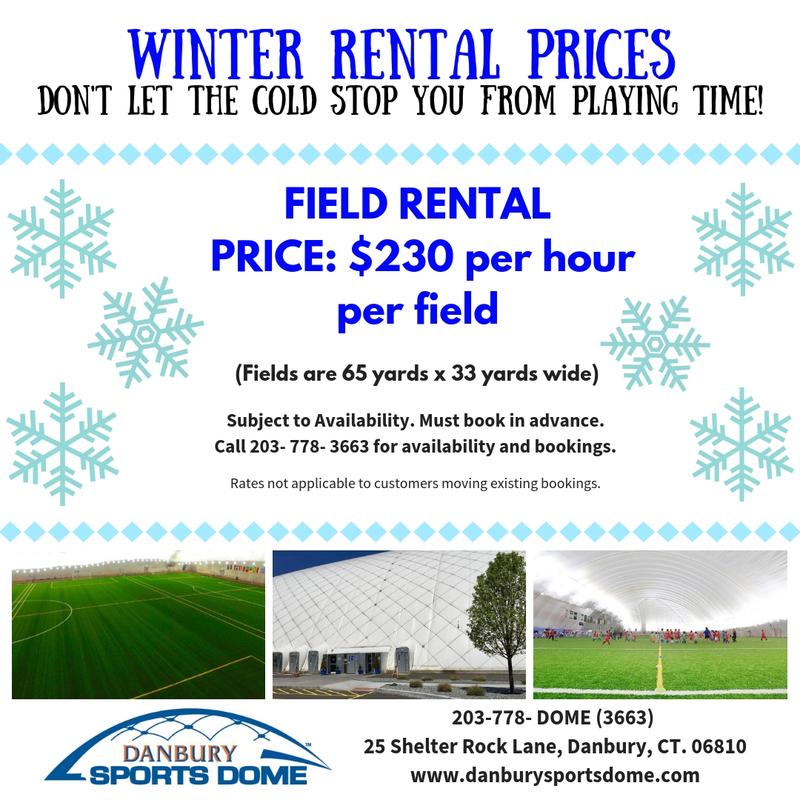 The height of the dome is over 90 feet, which makes playing in the Danbury Sports Dome better than playing outside. Our facility offers the perfect environment to play games or conduct practice sessions while protecting your team and you from the outside elements all year long. Don't Miss Out - Reserve your field time NOW. whenever we have Open Fields! Call us today at (203) 778-3663 to see if we have availability!